Organize your pets’ records in one Pet Binder and never have to search for their paperwork again! 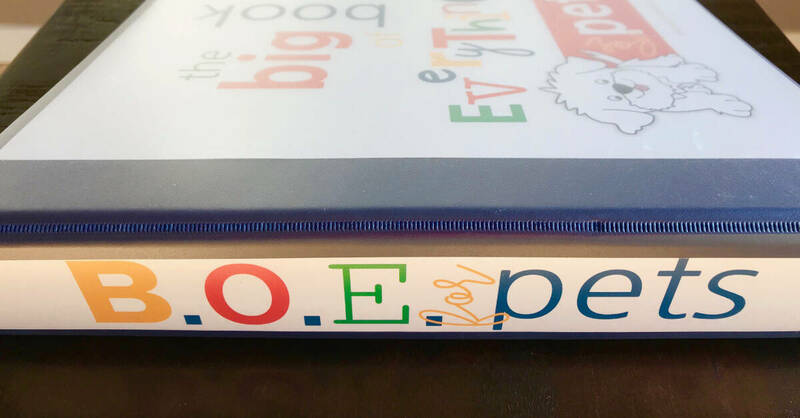 Our Big Book Of Everything For Pets is here to help! Our dog is a Shicon (Shihtzu-Bichon) who has hair instead of fur. That means he gets to go see the groomer on a regular basis for haircuts! One day, the groomer told us that TeddiBear was a bit nippy when she touched his hip. I was certain my husband had taken him to the Vet about that issue but the next haircut day, the groomer told us she found a lump on Ted’s hip. Oh no! That freaked us out a bit. TeddiBear went back to the Vet and we found out he has a fatty deposit. Relief! I decided right then and there that TeddiBear needed us to track his medical information. 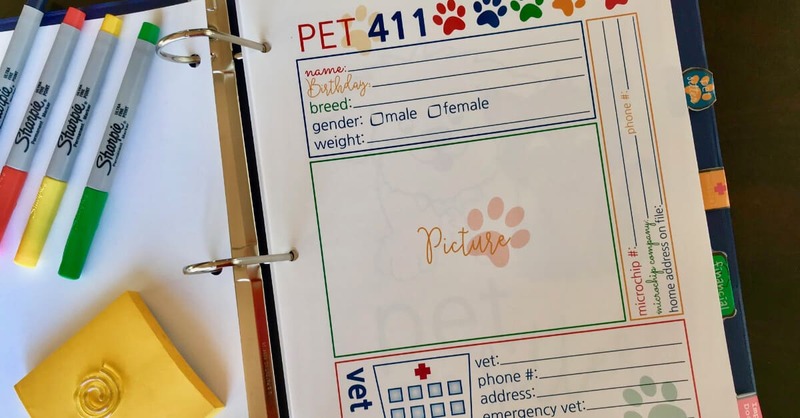 Of course that set me on a mission to organize ALL of Bear’s information and the Pet Binder was created! Printer – I just purchased this one and it is ah-mazing! Dividers <<< These are my favorite! You may choose to use our dividers tabs instead. Now that you have all those fun office supplies (don’t you just love office supplies? 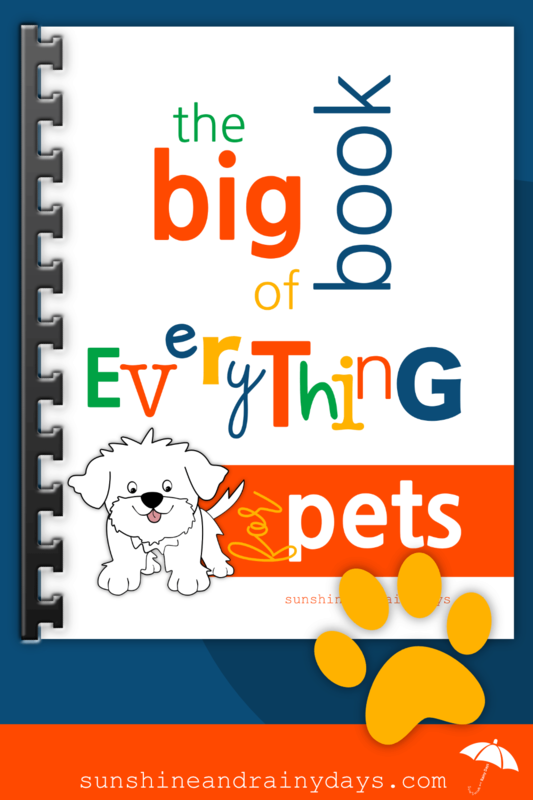 ), it’s time to get your Big Book Of Everything For Pets organized! 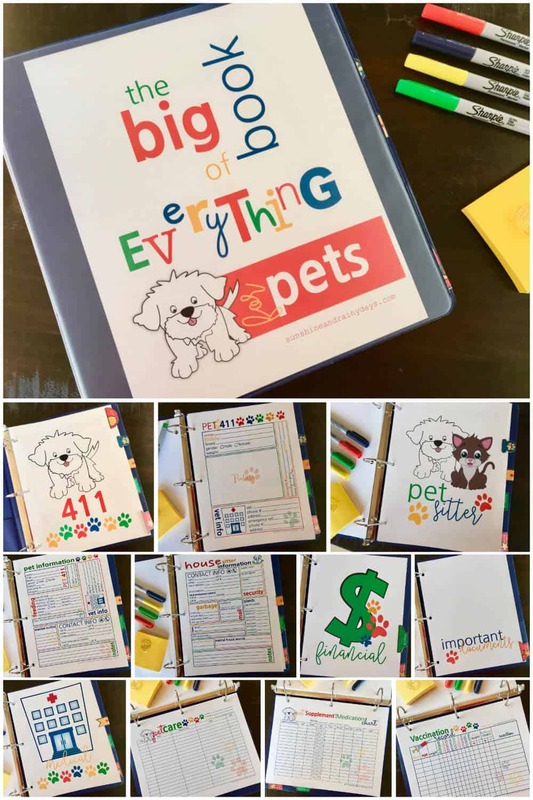 What’s In The Big Book Of Everything For Pets? We happen to have a dog so my binder is heavy on the pages with the dog! These are my all time favorite dividers. Why? Because they have pockets! Pockets make it easy to get paperwork in the right spot, right now! Don’t want to purchase dividers? Use the Print and Cut Divider Tabs below. I laminated my divider tabs and glued them on each cover page! The definition of 411 is: the relevant information or the truth. 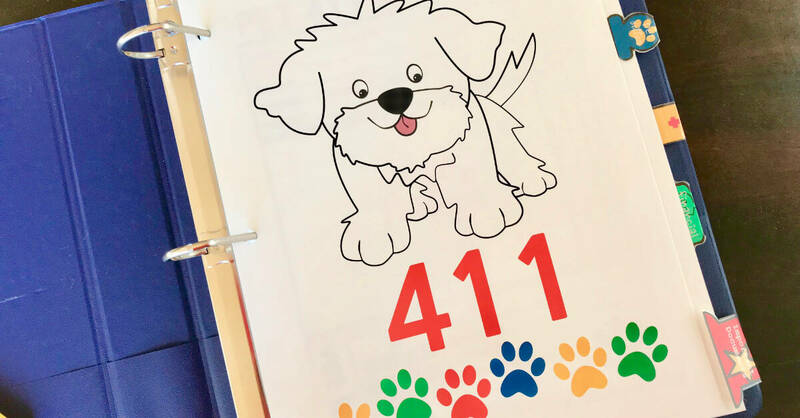 Behind the 411 Cover Page you will find the Pet 411 Information Sheet. The Pet 411 Information Sheet gives space for relevant information pertaining to your pet. It even has space for a picture! 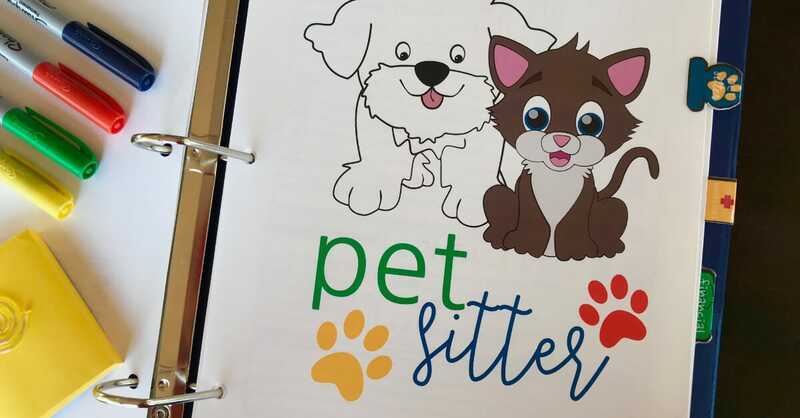 The Pet Sitter Cover Page makes way for the Pet Information Page and the House Sitter Information Page. 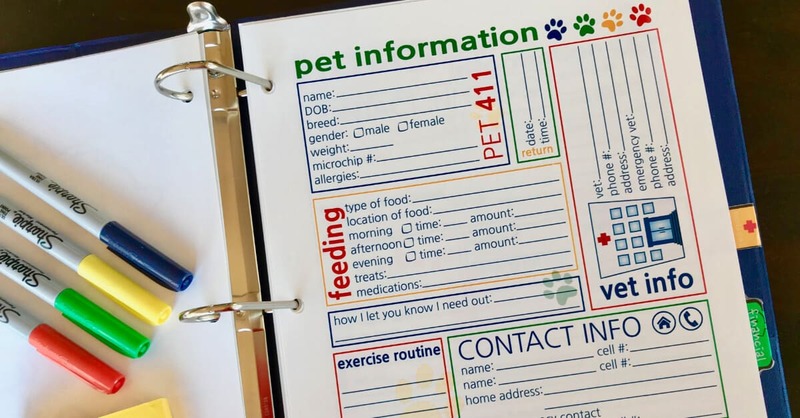 The Pet Information sheet holds all the pertinent information your pet sitter will need! 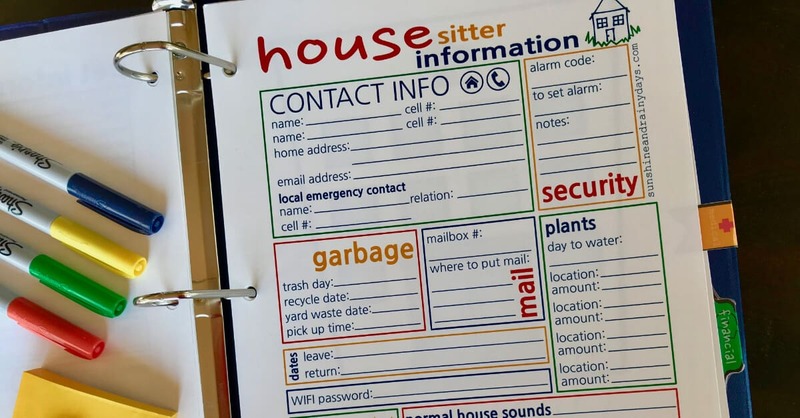 If your pet sitter will be staying at your house, the House Sitter Information sheet holds all the info they will need about your house! 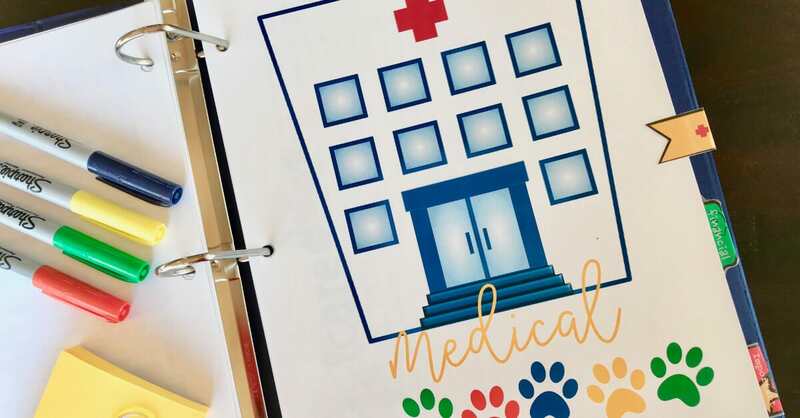 The Medical Cover Page will carry the Pet Care sheet, Vaccination Record, and Supplement and Medication Chart behind it. 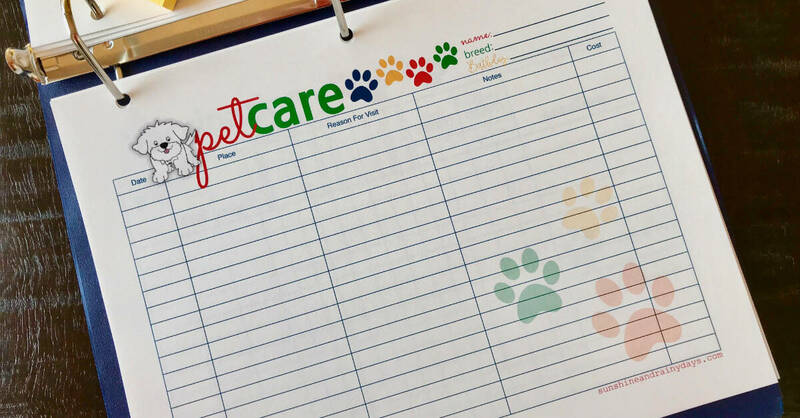 With the Pet Care Sheet, you have the choice of a copy with a cat or a dog. It is used to record any appointment your pet may have. With room for notes, you will know at a glance when your pet was at the vet last or when they had their last haircut. Do you blindly go into the vet for vaccinations when they send you a postcard in the mail? 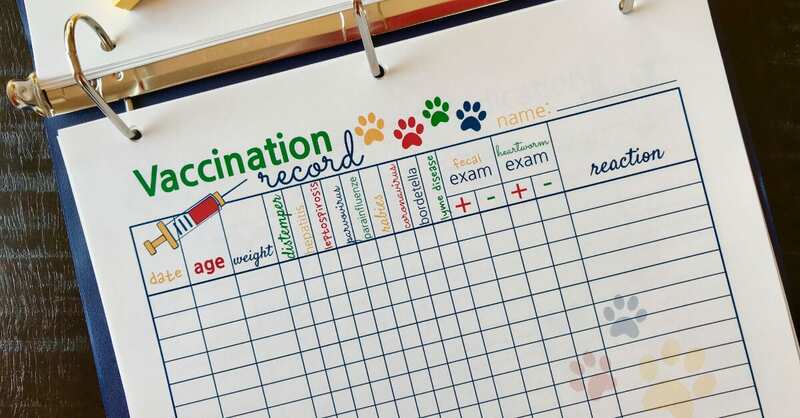 With the Vaccination Record, you will have a clear picture of the vaccinations your pet has had and needs to have. Has your vet suggested a supplement for your pet? Record it here along with any reactions. 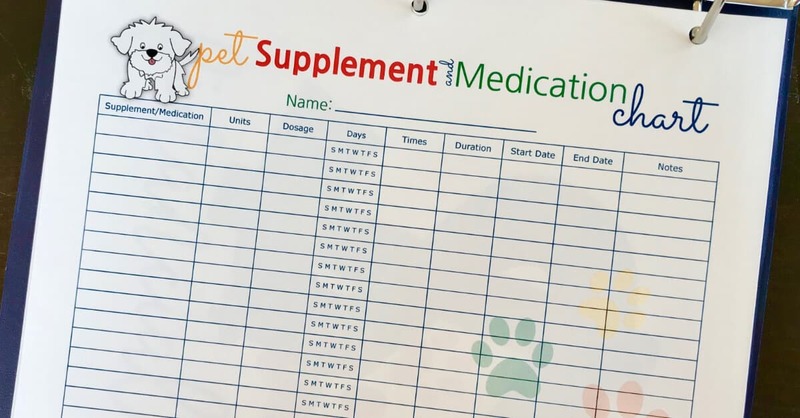 The next time it comes up, refer to your Pet Supplement and Medication Chart and know if the supplement worked or not. 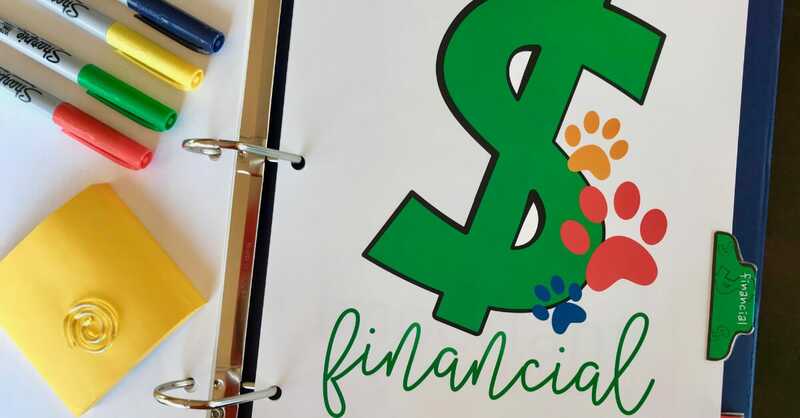 The Financial Cover Page is a great place to put all receipts that pertain to your pet. This is a great spot for microchip information and anything else you need to keep on hand for your pet. Next time we go to the groomer’s we can take a look at Bear’s chart and remember to tell them he has a fatty deposit that’s a little sensitive. 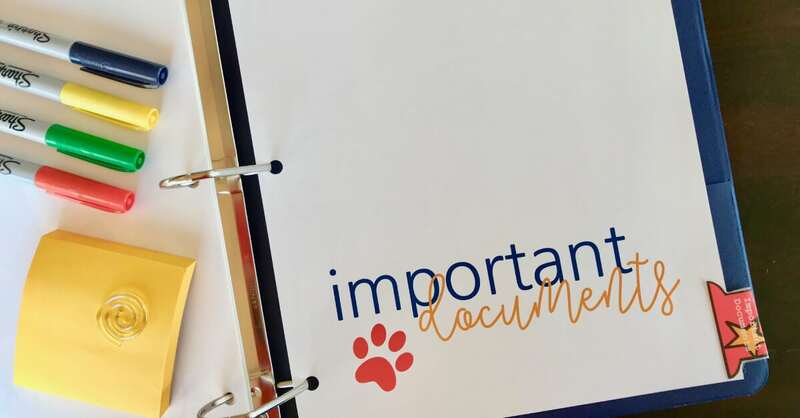 Our pets mean the world to us and they deserve a binder just for them! Is this a physical Pet Binder that will be shipped to my home? The Big Book Of Everything For Pets is a digital product. Nothing will be shipped to your home. You will receive PDF files to print at home!